SHORT QUOTES: I have a FaceBook account with the name “Nobody”. Whenever I come across a stupid crap post, I "Like" it, and then it says "Nobody Likes This" !!! I have a FaceBook account with the name “Nobody”. 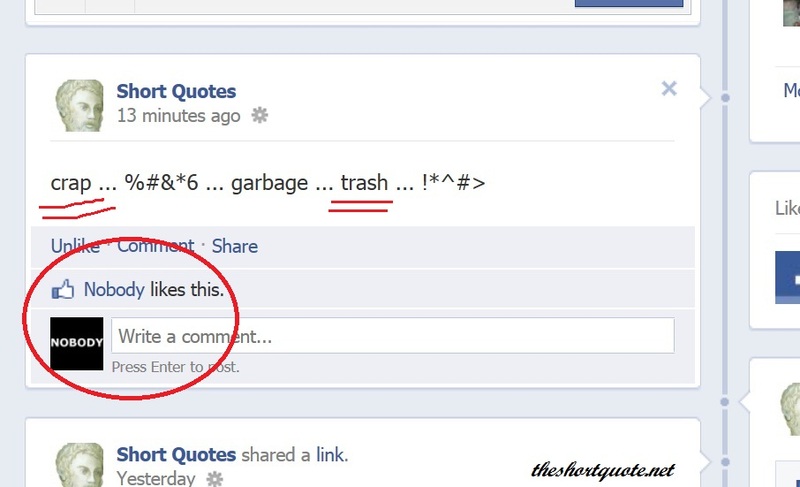 Whenever I come across a stupid crap post, I "Like" it, and then it says "Nobody Likes This" !! !